Yosef Meystel possesses nearly two decades of experience in residential administration. He began his professional career as an assistant administrator at Brightview Care Center in Chicago before going on to direct a 150-employee nursing home in Lincolnwood. In 2012, Yosef Meystel joined Aperion Care, where, as president, he facilitates all human resource and finance operations. Mr. Meystel leveraged his business acumen and background in accounting toward fostering partnerships with banks to secure loans and carry out financial negotiations. In his eight years with the company, Mr. Meystel grew the company’s portfolio from 2 to 24 nursing homes dispersed throughout Indiana, Texas, and Illinois. Meystel currently focuses on healthcare investment and philanthropy. As a dedicated philanthropist, he contributes to a variety of local Jewish organizations throughout Illinois. These include the Center for Torah, Joan Dachs Bais Yaako Chicago, and Chesed Agudath Israel of Illinois. Meystel also supports the work of the Jewish United Fund/Jewish Federation of Metropolitan Chicago, which serves the Chicago Jewish community, aiming to promote the welfare of the Jewish people and retain their cultural heritage. Additionally, he participates in multiple community organizations and public programs. For the past decade, he has held a board membership with the Joan Dachs Bais Yaakov, a Jewish elementary school offering faith-based early childhood education. Additionally, he sits on the executive committee for the Agudath Israel of Illinois. 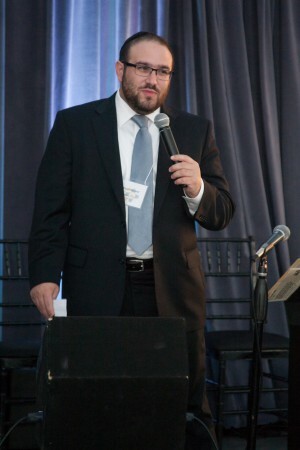 For the past 18 years, he has maintained active involvement with The Chicago Center for Torah and Chesed, a synagogue offering community resources and activities. Outside of his professional obligations, Mr. Meystel is a fan of professional sports, including baseball, basketball, football, and soccer. He is an avid supporter of Chicago’s hometown teams, including the Bulls, Cubs, Whitesox, Bears, and Blackhawks.